But four chapters done and working towards finishing it. 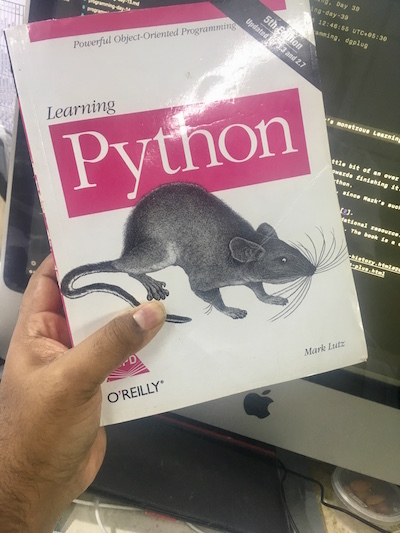 Love the comprehensive treatment of Python. Would love to see an update to the book, since Mark’s such a wonderful teacher, but that doesn’t seem likely. Mark does religiously update here though. This will always serve as an excellent foundational resource. Would have loved to learn from Mark in person. The book is a close second!